Yes, I know that we just passed, for most folks, the 2009 filing deadline. And yes, I know you probably don't want to think about taxes right now. But you need to. Moves you make now, in 2009, will mean when you're scrambling to meet that April 15, 2010, deadline, you should be in good shape. So now and then check out this clock, which even though I'm in the Central time zone is on Eastern time. It will help you keep track of the days, hours, minutes and seconds remaining until you have to get your 2009 return finished next April. And don't forget to regularly check all the filing tips and tax-planning strategies at Don't Mess With Taxes. Tax-filing time is slipping away. This clock, set on Eastern time, will help you keep track of the days, hours, minutes and seconds remaining until April 15, 2009. 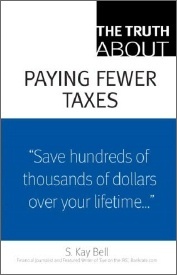 And get filing tips and tax-planning strategies at Don't Mess With Taxes. to follow all my Twitterings. And be sure to check out my Welcome to Twitterers. Sure, taxes are about numbers. But there are pictures, too. Really! This tip's for New England filers whose filing deadline is Wednesday, April 17. Did you miss a tax tip posted above? No worries. They're collected in the 2019 Filing Season Tax Tips pages, one for each of the three-and-a-half months that we focus on our 1040s: January, February, March and — tah-dah! — April. After a brief break to catch our post-filing deadline breath, the Weekly Tax Tips, like these from 2018, will return.